They negotiated a contract, he was signed. I got confirmation from Chuck: 'He's on the show.’ He had second thoughts and said no. During the most recent recording of The Howard Stern Show, Cryer talks about how he assumed the show was over when Warner Bros. made the tough decision to fire Charlie Sheen. However, the next time he talked to Chuck Lorre, the man seemed pumped and had already spoken to Hugh Grant about potentially joining up. 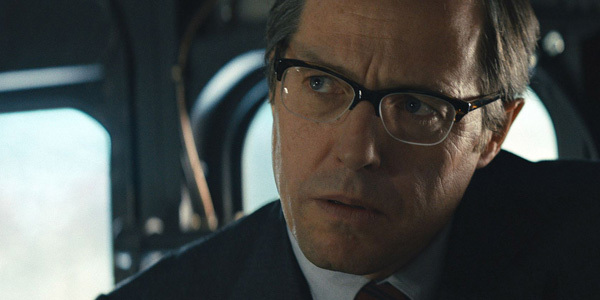 Jon Cryer also says he was a bit astounded Hugh Grant would even think about joining the American television show, but he took some meetings and the deal continued to move forward. They had come up with a really fun idea that this incredibly charming British guy has come to Malibu and that Charlie’s character has passed away. This British guy wants to rent a place while his daughter goes to Pepperdine, and he works at the embassy, and he's just incredibly cool, and Alan just thinks, 'Thank goodness somebody's gonna help me pay the rent here because I can't afford it.' And then it turns out he's a con man. He's full of it, and I'm stuck with him because he can still pay the rent. And it was fun! It was really fun, it was a fun character. Obviously, after Hugh Grant backed out, Ashton Kutcher wound up occupying the role. Although they kept some of the stuff in the script—like having Charlie’s character die, or so it seemed at the time, Ashton Kutcher’s character was very different. Partially because the actor isn’t British. Instead of playing a con man, Kutcher’s Walden was a billionaire and divorced when he first appeared. He was sharp, but also generous—quite unlike a con man would be. His portrayal kept Two And A Half Men on the air for another four seasons. 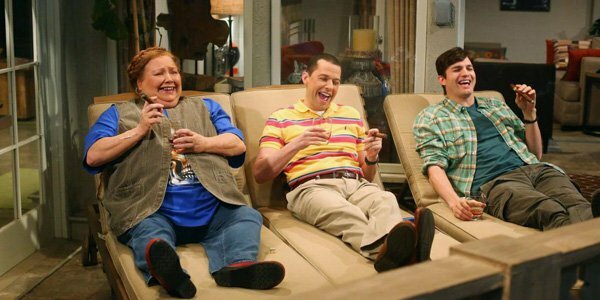 No one really thought that Two And A Half men could succeed without Charlie Sheen, not even Jon Cryer. But succeed the sitcom did. We have no way of knowing if the same thing would have happened with Hugh Grant’s con man character involved, but we do know that it helped that Ashton Kutcher’s Walden was an open dude who matured over time on the series. That was something we certainly never got from Charlie Sheen.